Yesterday, the Congressional Budget Office issued a report weighing in on the Obama administration’s proposal to raise the minimum wage. The report carries political importance not because a minimum wage hike has a snowball’s chance in hell of passing alive through the Republican-controlled House of Representatives, but because Democrats have decided to use the highly popular proposal as a campaign message. The CBO concluded that raising the minimum wage to $10.10 would be a mixed blessing – it would lift incomes for 16.5 million low-wage workers, but also push about half a million out of the workforce altogether. As with the CBO’s recent analysis of Obamacare, the headline conclusion – “kills jobs” – is in this case accurate, and furnishes Republicans with a talking point of their own with which to push back. I’m unqualified to referee the academic debate. Whether or not it is precisely correct, the CBO report reflects the general state of the economic consensus on raising the minimum wage. It pushes up wages for the vast majority low income workers, while making a small percentage of low-wage jobs too costly to be worthwhile for employers. The trade-off as described by the CBO strikes me as eminently worthwhile. I suppose that if you care a lot about making sure as many workers as possible have a job, however poorly paid, and don’t care very much about low-income workers earning higher wages, you could embrace this report as a case against a higher minimum wage. That’s the conclusion embraced by the Wall Street Journal editorial page, the National Review, and gleeful conservatives everywhere. And yet if you did care so much about reducing unemployment that you were willing to suppress wages for millions of the most hard-pressed workers in order to squeeze every last bit of joblessness out of the market, what other elements of the Republican economic agenda make even the slightest bit of sense? Another event that took place this week was the five-year anniversary of the American Recovery and Reinvestment Act, or the stimulus. Both parties marked the occasion by reiterating their long-held positions. Democrats believe the stimulus salvaged millions of jobs and prevented a full-scale depression. Republicans maintain it prolonged and worsened the crisis. Since the outset of the Obama era, the GOP has formally committed itself to Austrian economics or some other intellectually amorphous defense of austerity. 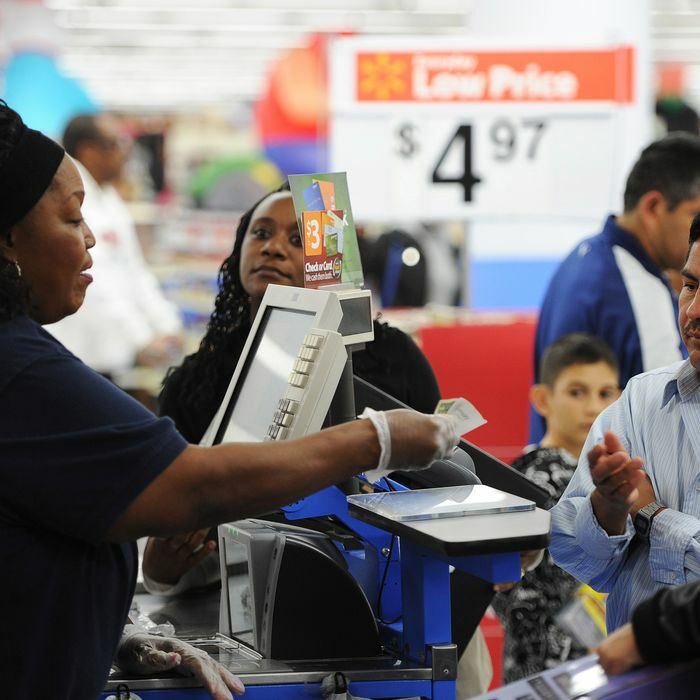 Higher spending cannot create jobs, Republicans say. And they have acted on this belief, using every bit of leverage at their disposal to clamp down on spending, and to block every proposal to stimulate the economy through infrastructure investment, temporary tax cuts, or any other Keynesian measure. Whatever the effects of the Party’s much-touted wave of economic reform, it has left the anti-Keynesian wall intact. And yet the Congressional Budget Office, now brimming with conservative credibility, has spent the last five years issuing report after report assailing the Republican position. Republicans weeping for the half-million or so jobs that would be destroyed by a higher minimum wage would be shocked to learn that, according to the CBO, they have destroyed 200,000 jobs by blocking the extension of emergency unemployment benefits (which lift the incomes of destitute workers, creating higher demand). Likewise, the budget sequestration they have embraced as their cherished second-term Obama trophy has destroyed 900,000 jobs. What’s more, the CBO has maintained all along that the hated stimulus saved millions of jobs. 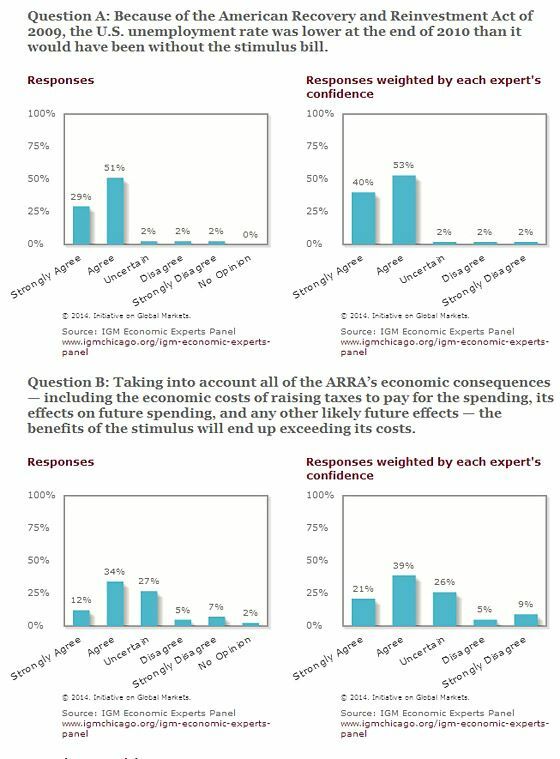 On the first question, whether the stimulus alleviated unemployment rather than worsening it, as Republicans claim, the panel is essentially unanimous. On the second question, whether the law was worthwhile – as opposed to some unspecified alternative – the panel is strongly though not uniformly in agreement, with 60-14 percent affirming it was worthwhile. The Republican Party has remained insulated from any political liability as a result of its position. The economics profession in general, and the CBO in particular, have spent five years practically screaming at Republicans to lift their boot from the throat of the economy. Those screams have simply faded into the background as a continuous, dull roar. The CBO’s recent reports suggesting Obamacare and a higher minimum wage may have some (smaller) impact on employment have paradoxically broken through precisely because they have inverted the usual roles: The party accustomed to dismissing the CBO as Keynesian eggheads has received it joyously, while the party accustomed to heeding its findings has had to painfully spin. If you are looking to make sense of all these debates, note that the CBO forecasts that the stimulus, minimum wage, and Obamacare all push up wages for low-income workers, albeit with some trade-offs. In every case, Republicans have deemed the trade-off to be unacceptable. 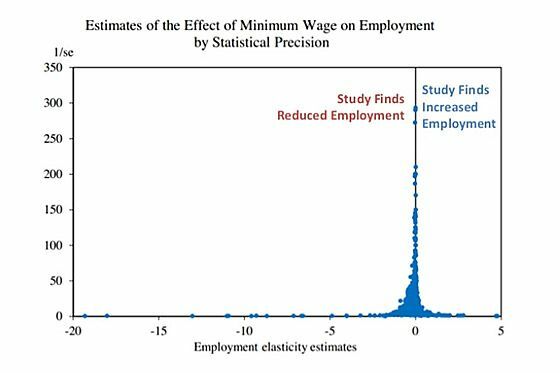 When (like with the minimum wage and Obamacare) the trade-off is higher unemployment, then higher unemployment is intolerable, even if Republicans are happy to accept it in other contexts (like stimulus). When the trade-off is higher deficits, then higher deficits are an unacceptable price to pay for lower unemployment, even if Republicans will pay it in other contexts (like making the Bush tax cuts permanent or rescinding pay-fors in Obamacare.) Some conservatives are suggesting a higher Earned Income Tax Credit as an alternative to a higher minimum wage, but the prospects of Republicans enacting that are laughable. And when you take all these positions together, the party’s economic priorities are perfectly clear.